So much projects, so little time... But hey, let's just use some of my spare time for keeping you guys updated on the stuff I do. I've been doing several things, but the most interesting right now is a new iPhone app concept that we've been developing since last month. 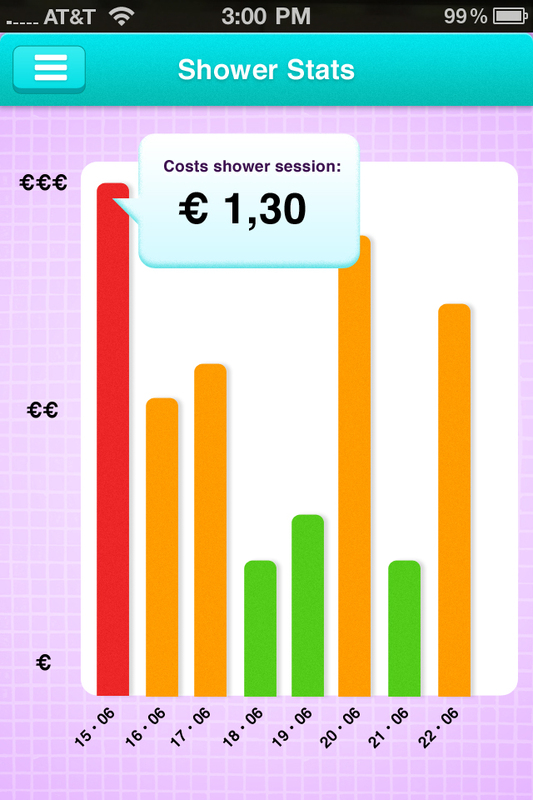 Together with Nils Waanders and Willemijn Edens we are creating an app which helps people save water while showering. It's called Showertrack. The way we are building Showertrack is an excellent example on how to create something in a more freeform way, or lean if you want to call it that way. We don't seem to have office hours or office space. We are however supported by people like Arjan Haring and Matt Wallaert. Utrecht Inc. also lends us space for creative processes. Ofcourse I can't spill the secret sauce, but behavior change is a challenging objective! Keep you updated! Thanks @hackgroen for getting us started with this!